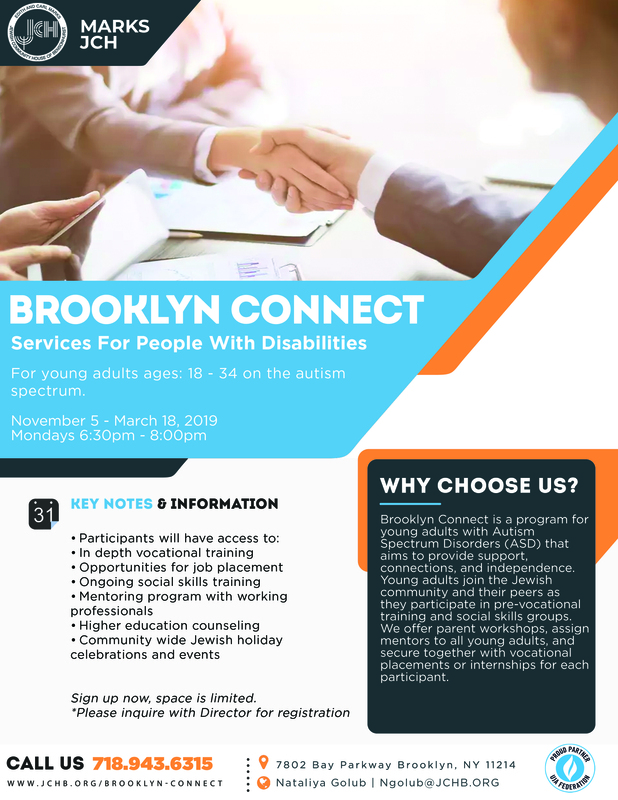 Brooklyn Connect is a program for young adults with Autism Spectrum Disorders (ASD) that aims to provide support, connections, and independence. Young adults join the Jewish community and their peers as they participate in pre-vocational training and social skills groups. We offer parent workshops, assign mentors to all young adults, and create vocational placements or internships for each participant.